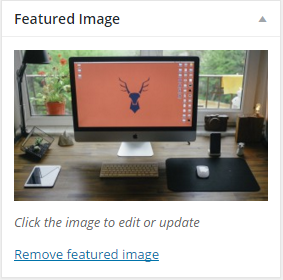 WordPress featured images are used to display a hero image above your content in your single posts, and a thumbnail/smaller image within your blog post excerpts on your blog page/archives. The featured image metabox is a core WordPress metabox, and can be found at the bottom right (in most cases) of your edit page/post area. 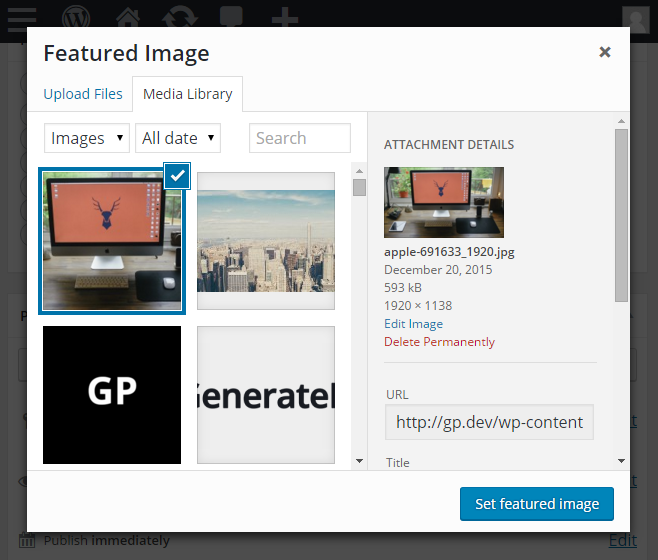 Click the “Set featured image” link and then choose/upload your image from your Media Library. Once selected, click the “Set Featured Image” button. To remove the featured image, click the “Remove featured image” link.